Wireless fleet management solutions from AT&T are enabling companies to better track, monitor and utilize their fleets to improve safety, savings and productivity. Explore the many advantages these solutions can offer your company. According to the US Department of Transportation, 30% of all critical violations are HOS-related. 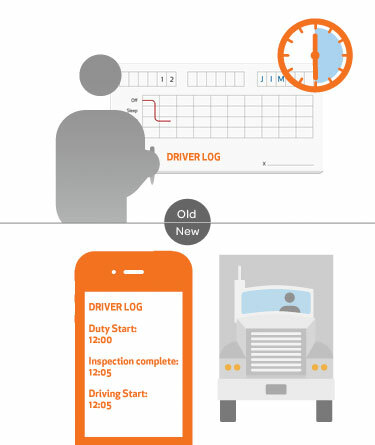 With electronic logs, on-duty, off-duty, and driving time are calculated automatically to save time and reduce infraction risks. Electronic vehicle inspections are much faster and more consistent, so management can spot vehicle problems sooner. IFTA reporting is made easier with state-by-state mileage tracking and electronic fuel purchase logs. Protect you company’s CSA score with automated HOS and DVIR logs and potentially save up to 30 minutes per day of valuable driver time. 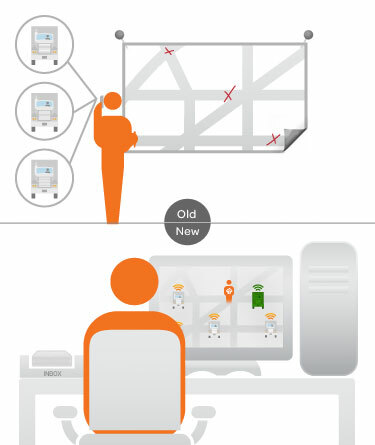 Fleet management solutions can help eliminate inefficient routings by dynamically guiding drivers to the best routes, even when destinations change frequently. 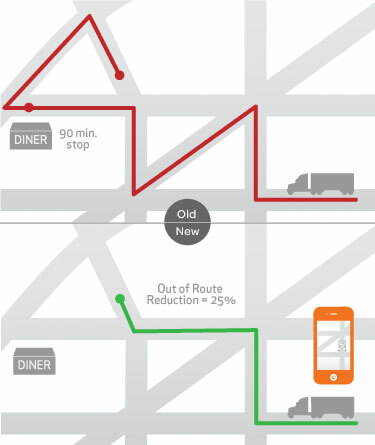 On new routes, turn-by-turn instructions can reduce time spent finding delivery or pick-up locations and prevent costly delays. And you can easily identify unproductive driver behaviors such as time spent off-route or unscheduled stops to determine where additional coaching is required. The cost of inefficient routing and unnecessary idling can add up quickly. With the ability to track idling times, companies have been able to enforce company policies and can help reduce unnecessary idling by as much as 90%. 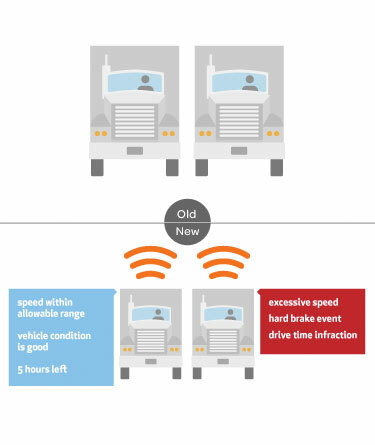 Improved dispatch and routing changes based on real-time fleet information help to eliminate excess mileage. Better information is critical to making smarter business decisions. Knowing exactly where your drivers are and how much time they have left can help you revise schedules more efficiently and spot the best driver to take on a last minute pick-up or delivery. 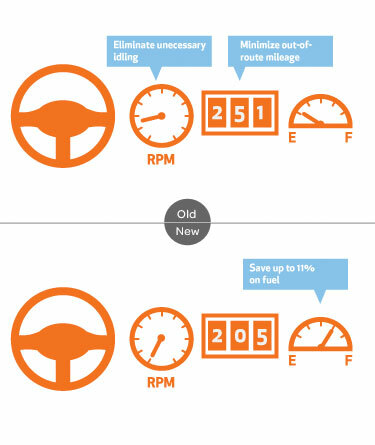 Fault code notifications and mileage tracking can improve maintenance scheduling decisions to minimize vehicle downtime. Average driver utilization can improve with the help of accurate data to measure compliance to company policies and help identify driver training and re-allocation opportunities. Wireless solutions can help save much more than just money. Driver safety is impacted by the vehicle’s condition and driver behavior, both of which can be better monitored with our solutions. More consistent inspections combined with fault code notifications help ensure vehicles are in their best condition for drivers. Improved tracking of HOS, excessive speed monitoring, and hard-brake alerts all help management spot which drivers are at the greater risk of an accident. Plus, GPS tracking helps locate vehicles faster when incidents do occur. 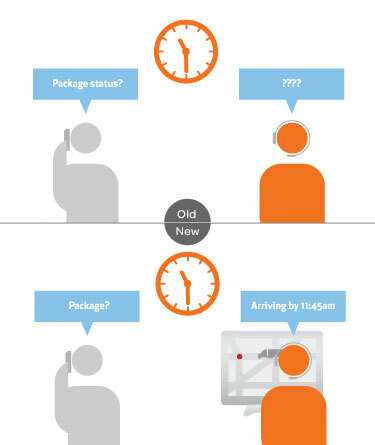 Customer demand for accurate information about their shipments or service times continues to increase. With real-time access to delivery vehicle locations, you can keep customers informed when shipments are on schedule and react quickly when unforeseen events occur to minimize the impact to your customers’ operations. Stay ahead of the competition and protect your company’s reputation with real-time fleet information. See how an EOBR solution from AT&T can speed compliance reporting and reduce the risk of HOS and inspection infractions.